Silent Auction - How it works. If you are interested in one or more of the lots that we have on offer, simply place your name, a contact number and your maximum bid amount on a piece of paper, pop into an envelope and bring it in to the pre-school where there will be boxes to post your bids. Bidding commences on the 19th June, so post your bids anytime during pre-school hours - post boxes will be located in the office. 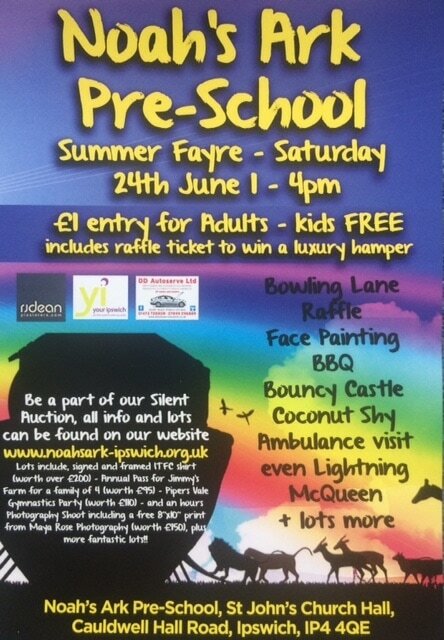 All lots will be at the pre-school week commencing the 19th June if you would like to see the lots in person. 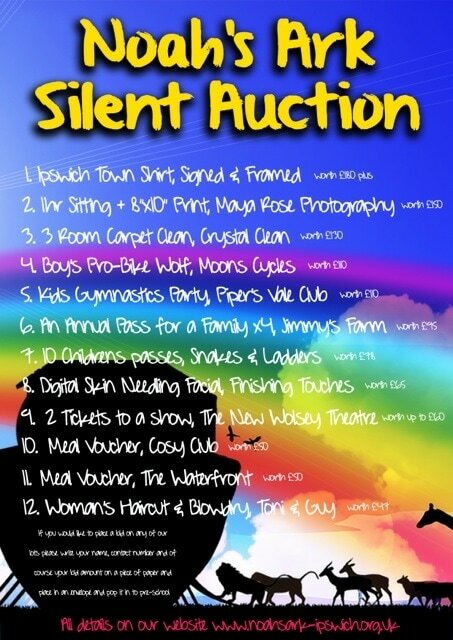 Of course all lots and bidding will be available throughout the fayre too! Our lots have all been kindly donated by various companies in and around Ipswich.